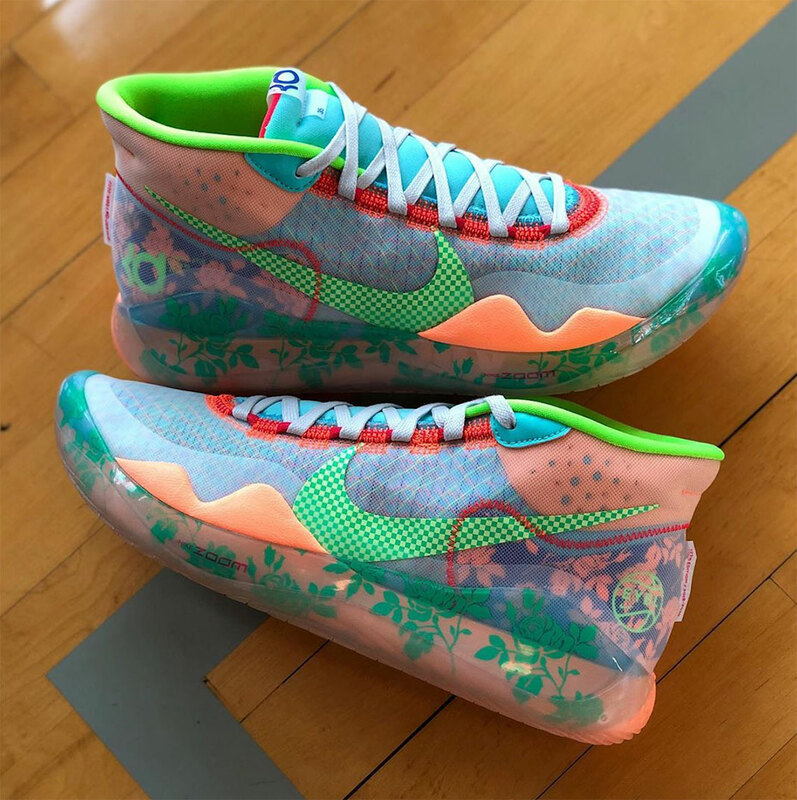 Discussion in 'Nike' started by Blue Mamba, Feb 9, 2019.
would love to have a pair! 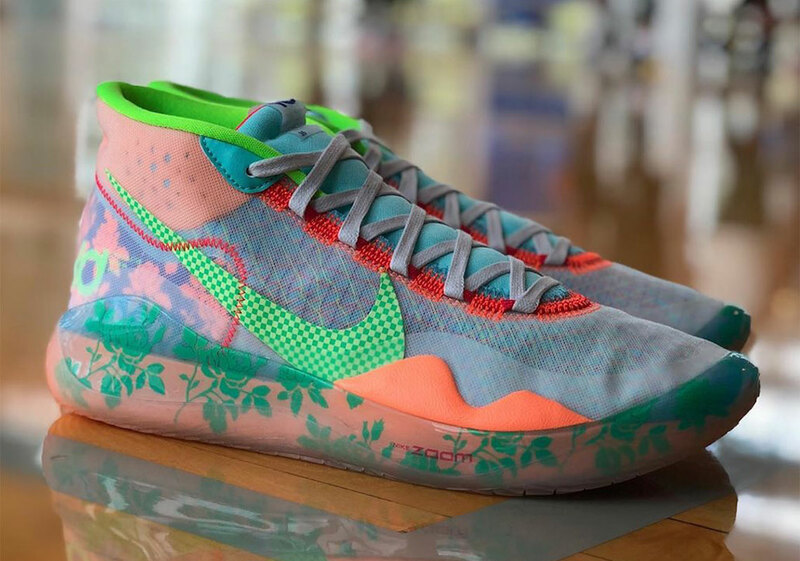 Yeah, the EYBL's are fire for sure. Still, I'm looking forward to a GR that features either solid soles or translucent soles with a colored tint. The comfort level on these are epic. Tried them on and had to cop. Casually they look better than I expected which is what’s sealed the deal. temepr, mister friendly, superstarlord and 1 other person like this. Rose print graphics on the mid/sole is a nice touch on the EYBL. Probably a pass for me if they ever release. I can see you returning these bro. Picking up mind and Balling in mine today, Heard nothing but great things so far. I wouldn't put it past me but I dig them for now. I can’t knock it bro. I echo your same views in the 12. Oh that's a fact haha! JB is what got me mostly into this. Every so often I have to feed my other sneakerhead departments though . dbff, nflowshoe and kingjay718 like this. Ugh.....the tongue alone makes these 12’s better. It’s crazy I loved the 9-11, but that one piece was not forgiving to my feet. Socks bunching up, hot spots etc. I’m aiming for the unseen BHM and All-Star. Naruto and salacious crumb like this. Just played in these for the first time. Holy ****! It's like if the Harden 3 and the Protro 1 had a baby. It feels minimal but with great support and lockdown, no need to break them in, plush but responsive ride, great traction. The only thing that I have doubts about is the durability of the outsole... I play on a pretty good court and after just one 2h practice there's already some minor fraying. Would love a gum outsole on these. KanyIZZY, mister friendly, Naruto and 2 others like this. Not to mention the 5 minutes or more to put on the shoe. Especially on the 9.
mister friendly, gwizzle, brian blades and 1 other person like this. That's an awesome TB shoe. Torture. I wish I had a time machine so I could go back, slap myself 2016-2017 self, and bodily threatened that version of me to now buy the 9. I’m a fan of red. Is there a release date? I just picked up a pair from the nba store. 25% off with discount code swoosh. Can't wait to try them. I measure a little less than 11.5 but I usually get a size 12 because my feet are wide in the forefoot. Size 12 in these fit pretty nicely and i could feel the phylon teeth gripping my foot tightly. It didn’t hurt but I wonder if it doftens up. I received the size 9.5, it is the good size.